Cf. Osage and Hočąk Clans Compared, Omaha and Hočąk Clans Compared, Winnebago-Chiwere Clan System, Quapah-Winnebago-Chiwere Clans. Links: The Wazija, The Redhorn Panel of Picture Cave. An American Star Map. 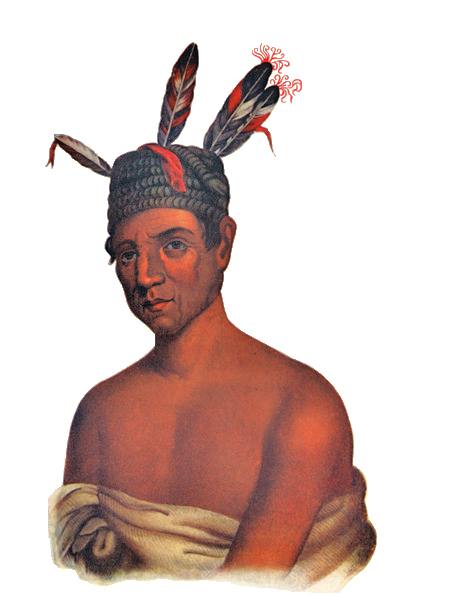 Stories: about the separation of the Hočągara from other Siouan nations: Ioway & Missouria Origins, cf. Introduction, The Hočąk Migration Myth; about the migration of the Hočągara: The Green Waterspirit of the Wisconsin Dells, The Hočąk Arrival Myth, The Hočąk Migration Myth, The Hočągara Migrate South, The First Sauk and Fox War, The Spanish Fight, cf. Hočąk Clans Origin Myth; mentioning the Omaha: The Omahas who turned into Snakes, Ioway & Missouria Origins, Little Priest's Game, Introduction. Themes: the Hočągara come to the Wazija from the west: The Hočąk Migration Myth; the Hočągara are the parent tribe from which other (Siouan) tribes separated: Oto Origins, Ioway & Missouria Origins. 1 Paul Radin, The Winnebago Tribe (Lincoln: University of Nebraska Press, 1990 ) 2. The original text (it was told in English) is in Paul Radin, Winnebago Notebooks, Freeman #3862 (Philadelphia: American Philosophical Society, n.d.) Winnebago I, #3: 96. 2 Alice C. Fletcher and Francis La Flesche, The Omaha Tribe, 2 vols. (Lincoln: University of Nebraska Press: 1992 ) 1:36, 38. 3 Collections of the State Historical Society of Wisconsin, 10:500; Publius V. Lawson, "The Winnebago Tribe," The Wisconsin Archeologist 6, #3 (1907): 77-162 . 4 Albert Gallatin, A Synopsis of the Indian Tribes within the United States East of the Rocky Mountains, and in the British and Russian Possessions in North America, in Archaeologia Americana, Transactions of the American Antiquarian Society (Cambridge, Mass. : 1836) 2: 127. 5 Norton William Jipson, Story of the Winnebagoes (Chicago: The Chicago Historical Society, 1923) 16. 6 Fletcher and La Flesche, The Omaha Tribe,1: 68. James Owen Dorsey, "The Social Organization of the Siouan Tribes," The Journal of American Folk-Lore, 4, #14 (Jul. - Sep., 1891) and #15 (Oct. - Dec., 1891): 257-266, 331-342 . "The following names of Kwapa gentes were obtained chiefly from Alphonsus Valliere, a full Kwapa, who assisted the author when in Washington, from December, 1890, to March, 1891." Frederick Webb Hodge, Handbook of American Indians North of Mexico: N-Z, Volume 30 of Bulletin of the Bureau of American Ethnology, Smithsonian Institution, vol 30 (Washington: U.S. Government Printing Office, 1910) s.v. "Quapaw," 2:335b-336a. 7 James W. Springer and Stanley R. Witkowski, "Siouan Historical Linguistics and Oneota Archaeology," in Oneota Studies, ed. Guy Gibbon (1982).